This week I am doing all dedication posts, back to my dear readers! Which is YOU! Yes! 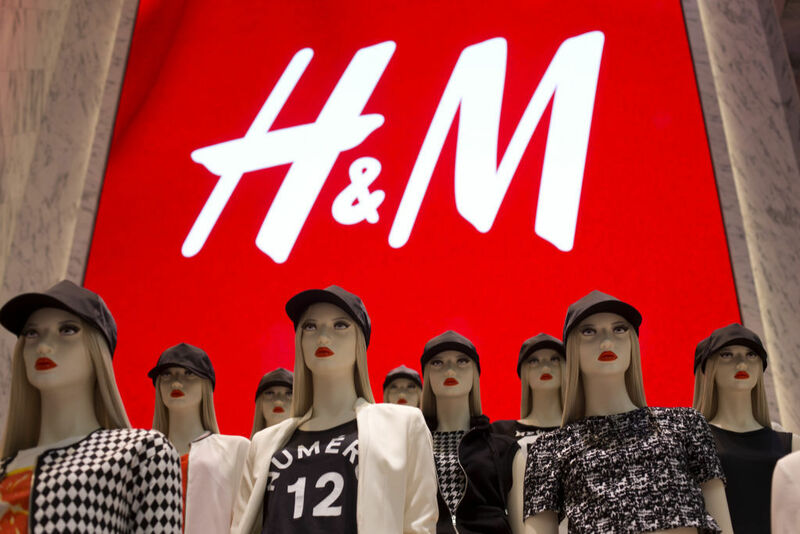 Last post was for Kate, and this post, is a question from another reader – Ankana, who was wondering how H&M’s quality is – as of lately. I’ve responded to her personally and I feel this is indeed a good question to many fashion lovers out there! So behold, a review of H&M for all of your dears out there – Male and Female Fashionistas or every day shoppers! Let’s talk H&M. I dug up a bit of their history as research. H&M was first opened by Erling Persson in 1947 under the name Hennes – the word is Swedish for Hers and it only sold women’s clothes. Twenty years later, Erling then acquired Mauritz Widforss – a brand for mens clothing and hunting equipment, and that’s how H&M was born to suit both male and female customers. And just how well are they doing this? 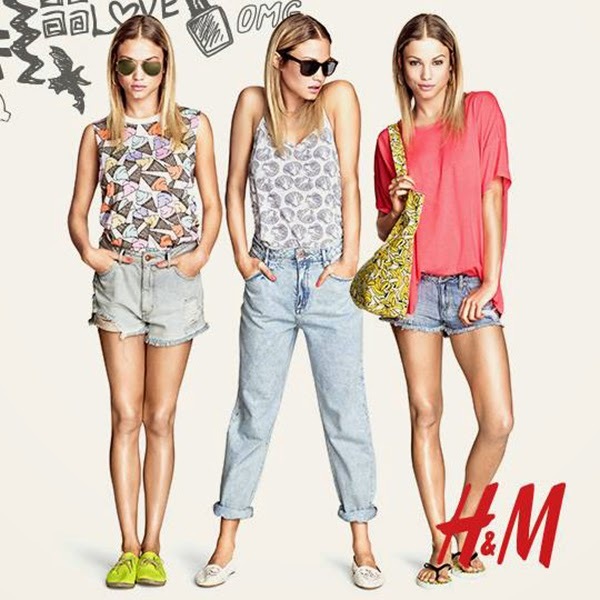 H&M is definitely a fast fashion brand – offering the latest styles and trends at a low cost. But also understand that, fast fashion also means fast turn over rate in terms of wear ability. The most important concern to any piece you own, should be “cost per wear”. Meaning – the more uses you get out of it, the more it’s worth. So let’s go on to look at pricing. The price for their apparel ranges from $20 to a $300 mark. If things on sale, you can get something for as low as $5. The price range varies so much, because of it’s diverse quality and design. For example, a basic cardigan would cost around $20, where as one with embellishments and design can easily go up to the $50 mark. This is the same, for many other fast fashion brands as price varies from design. You can expect better quality pieces to cost more as well. I especially love how they do collaboration project with big designer brands, such as Versace as well. With H&M, I do hold a certain level of trust with the quality of their apparel. Their standards are usually quite well kept. I have yet to be disappointed with their quality at the price point. I also find their material to be comfortable and looks good for the price point – meaning it definitely does not look cheap. I have had H&M pieces for years and it is still wearable. Overall, I think the cost per wear for H&M’s quality is worth it. I would rate it’s quality as comparable to ZARA, but at a friendlier price point. It also almost always allows their customers to catch up with the latest trends. I love how diverse their styles are also! And how they carry everything – from apparel, accessories, shoes, make up, and on. They also have different price ranges for different intended customers, with their other lines COS and & OTHER STORIES. It’s kind of like the Banana Republic, Gap, Old Navy kind of thing. In terms of sizing for petites. I find that in recent years, their sizes do run smaller than they used to. I have had friends complain that their usual sizes don’t fit them anymore. I find that to be true in this matter. I can range from a size 2 to a size 6 depending on the material and fit of the design. In the past, I was a solid 2. I’ve also had mishaps ordering online from them recently. I ordered a size 4 to be safe, but it ended up still being too tight, and I had to exchange for a size 6. With their current sizing, I would definitely say, if you’re shopping online, you should order more sizes to try on, then returning to the ones that do not fit. If you’re trying on clothes in store, do a good eyeball estimate of the article of clothing and bring it to try on in the fitting room. Well, that was a lengthy blog post. Hope it was informative and not too boring! If you have any other questions and concerns about H&M do write back and let me know! I’ll be sure to answer any questions! If you have any other requests for blog posts, feel free to leave a comment and I’ll try my best to write one up for you all! Have a wonderful weekend! None of the images above are my own, they have been sourced legally, with proper credentials back to their original owner. Content is for general sharing purposes only and is not intended to make a sale. This post was helpful. I’ve walked in various H&M stores 20+ times and have never bought anything for myself. The styles just don’t fit right. Maybe I should try buying several petite things online like you suggest. Thanks for the tip. I’m more like 5 feet on a good day so the struggle is real. Aw. I’m 5′ 2″ so I completely understand where the struggle is coming from! Yeah. A lot of times, pieces have to be tailored or you have to try things on in an array of sizes to get it right. Definitely look into a good tailor in your area so you can get all the cute styles you want to fit just for you! I constantly buy from H&M’s baby boy line for my son!! Cutest finds! I love H&M, so nice to get trendy pieces at such and affordable prices!!! Wow! I did not know that H&M had anything that is priced over $100, nevermind $300! I love going there for cute and cheap clothes. The bit of history was really cool, I’ve actually wondered a number of times what the H and the M stand for but I’ve never bothered to actually look it up. your reviews are very helpful. I can find many of useful and interesting informtation. This help me a lot when I am shopping. Hope you will write more about this subject. I really wish they would keep their sizing consistent so I wouldn’t have to buy multiple sizes of the same item as I don’t have a brick and mortar store nearby. That being said, I don’t really buy much H&M other than a couple fun pieces; I prefer to stick with more essential classic pieces for longevity. I love H&Ms awesome styles. And the price points are just right. I live in California but spend a lot of time at our second home in Puerto Vallarta, Mexico. I was so excited to see that the brand-new beautiful mall there has an H&M store. H&M is one of my favorite stores. It has somethings for every style and I was just in the one in NYC and it a huge one! There are even people dancing! H&M is a favorite for me for basics. But I find a lot of stuff I am a size 4 when I am typically a size 0 which is a little odd. I love H&M. We don’t have one close to us, but their prices are great. This would be really helpful if you don’t live near an H&M but you want to shop them online. I love your post. I am a total fan of H&M too but mostly for my daughter. Most of her school stuff I get them from there. Thank you for your review. I have gotten a couple of nice things from H&M that have worn well. Others have been disappointing. My biggest problem is the sizing. It has become very small. I have shopped here before. I would have to agree with you that the clothing quality is good as well as the piece. I have always been happy with my purchases there. I haven’t lived in a place with an H&M in awhile, so it’s been a bit since I’ve shopped there. Good advice on ordering extra sizes, I’m short and I just had a baby, so I have no idea where I stand right now. I love H&M! We don’t have one nearby us but whenever we go to Vegas twice a year I always stop at 1. My sizing is so weird that I have to try things on! I enjoy this store! The prices are generally fair so I can pick up some good things. My daughter has clothes from them too! H&M’s sizing has been hit or miss for me, but I can say that I’ve had item for at least 10 yrs. I’ve never shopped at H&M but the clothes are really cute and fashionable. It looks comfortable, too. I got a huge surprise the first time I ever ordered from H&M online only to find I couldnt fit in the UK10 I need H&M UK14 to pass my thighs there sizing is not the best for bottoms. Pricing and quality are fine. This is a really useful post for people who are looking to start shopping at H&M. I’ve heard a lot about their sizing running very small in the UK. feel like I need a reward for myself. H&M is a popular brand here and it’s not always on my range because it’s expensive. But if for quality, I will choose to buy from it. I like H&M! I don’t always think their prices are the greatest, but the few pieces I’ve bought have lasted for years! I don’t shop there very often, but I love that their prices are affordable. I love that they also came out with a makeup line. I know that my daughter loves the clothing at H&M. She’s just at that awkward stage at the moment for what clothes are out there. I’m a huge fan of H&M. I always find so many cute things for a great price. I have not shopped at H&M yet, but this review makes me want to try them out. Their clothing seems decent too. H&M is one of my fav…All the size, design and esp. the price are affordable and great. When I mean the size it is especially for someone like me ( Asian size 😉 ) a perfect fit. What an informative post on H & M. Thanks for sharing this. H&M is one of my favorite stores. They have a great selection for the whole family. I like to get the petite sizes as well. They seem to fit me better. I have heard a lot about H&M but I have never shopped there. Thanks for the amazing review. H&M seems to be all over the world. I seem to always find one wherever I travel to in Europe. I do like to shop there because their stuff is quite affordable. I used to love H&M for non-basic pieces because they are cheap to buy. But I tend to look elsewhere for quality basics/investment pieces. I personally never been into H&M because I don’t have one close to me and want I have heard that don’t have a lot of clothes that would fit my body type. I like to shop to at H&M but sometimes it is hard to find my size. I only go when they have a sale. H&M is among my favs. And their designs are quite versatile i always love mismatching items from different collections. Good review. 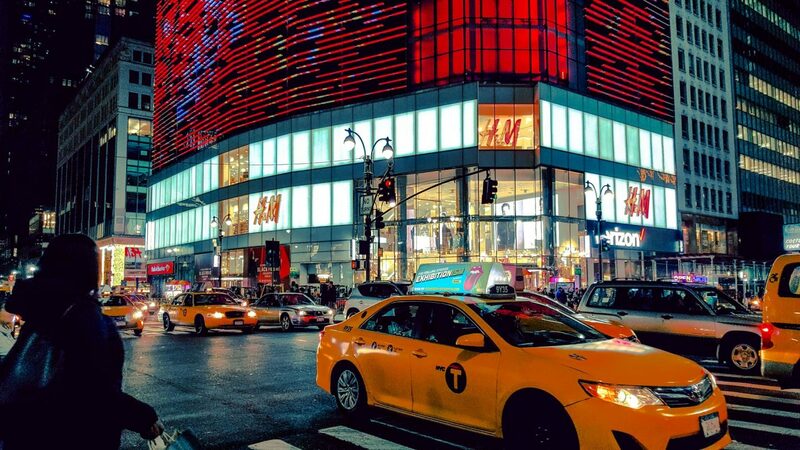 I’ve never shopped at H&M but I have always heard great things! I’ll definitely have to check them out sometime, great review! Thanks for sharing! Wow thank you for really breaking down the logistics. I do enjoy H&M, however sizing is usually interesting and can be quite a hit and miss with me. But the quality is definitely really good considering the price point. I do love clothes from H&M. But the sizing can be hit or miss for me. I love the kids section for my family.